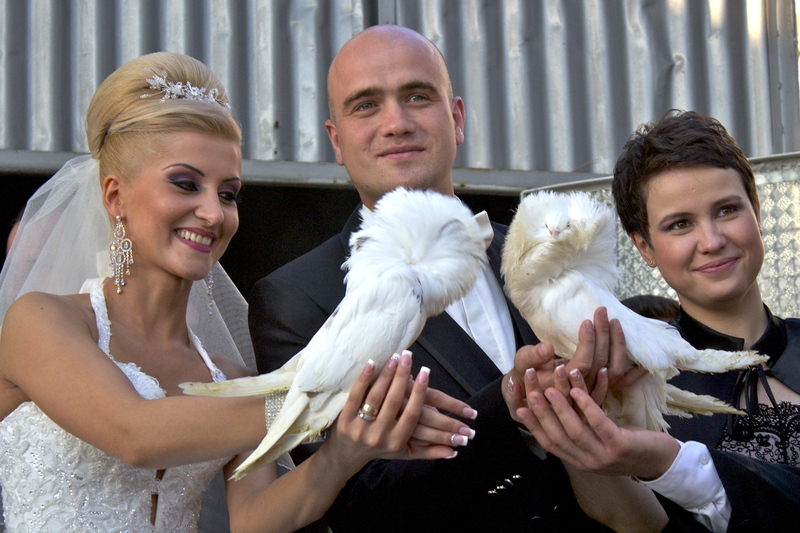 Better than “event” or “special occasion,” I have intentionally chosen the word “phenomenon” to describe Romanian weddings because that is what they are; no holds barred extravaganzas which are unparalleled by any celebration I have ever before witnessed. 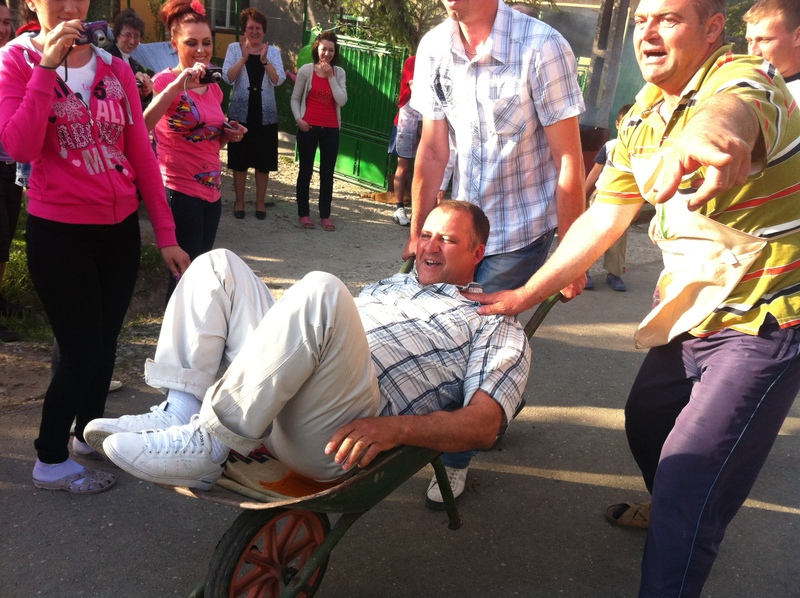 During our initial Peace Corps training we were introduced to the various Romanian events that we might be invited to during our service, such as weddings, funerals and baptisms. The various related traditions were outlined so that we would have an idea of what to expect in case we were lucky enough to be invited to such an occasion. 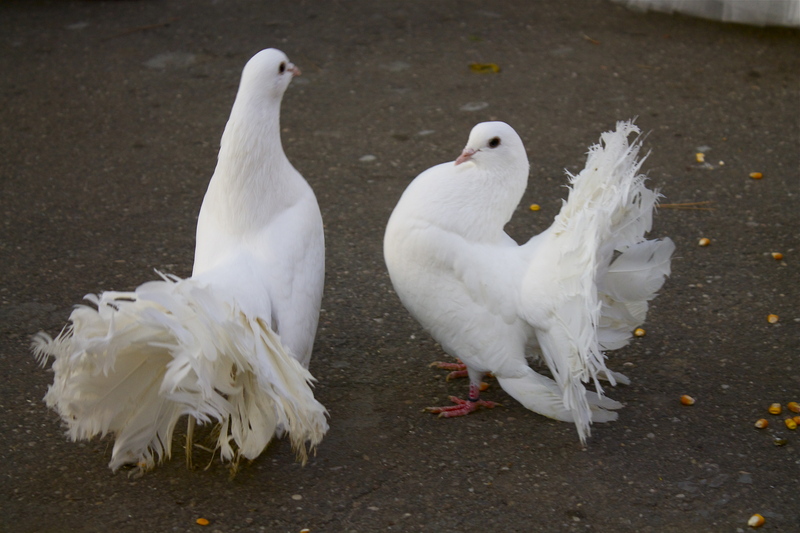 We were even taught a few of the more basic, though popular, dances like the Hora and the Penguin, for example. 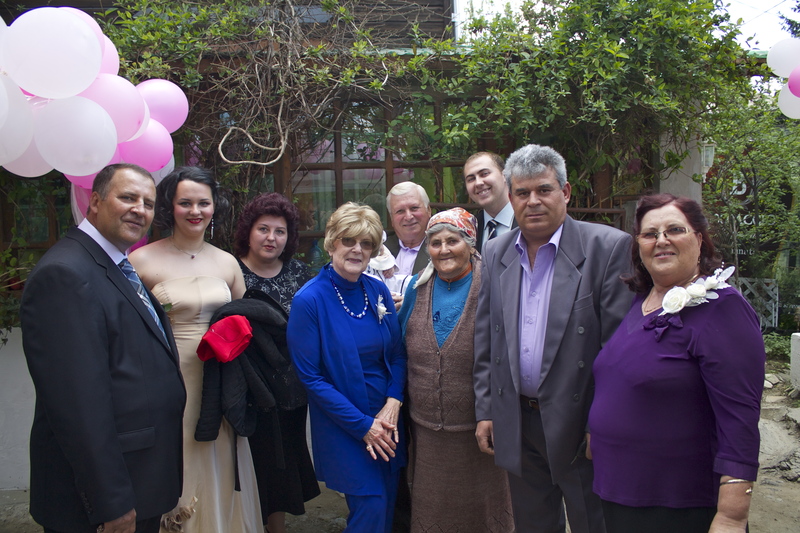 As luck would have it, I received a formal invitation to attend the wedding of my neighbor’s daughter; an event that happened to fall on one of the three weekends that my mother was visiting from the United States. Below are a few of the more important traditions surrounding this phenomenon. Bradul: Small pine trees are placed at the front gates of the bride and groom’s parents’ houses. 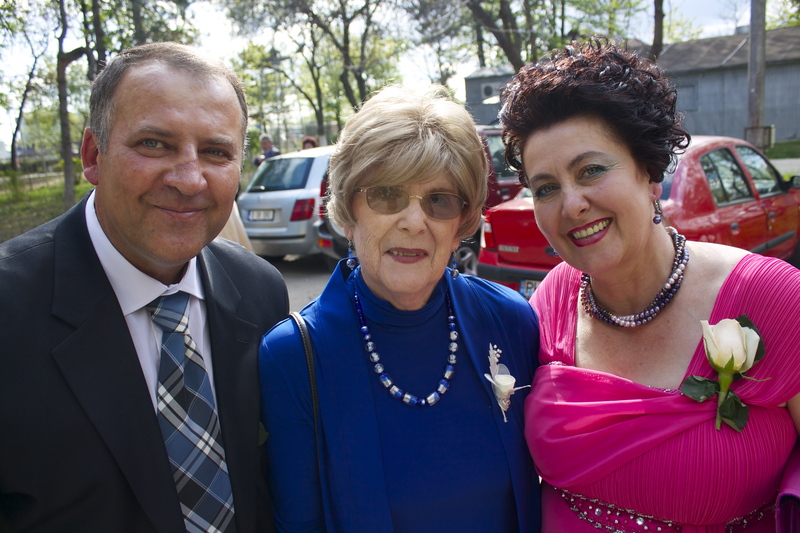 There may also be one at the church, where the ceremony takes place, that has been decorated with candies. The trees themselves symbolize vigor and youth and the decorations symbolize the family’s future abundance. Additionally, before the ceremony, the trees are splashed with wine, a further symbol of abundance. Dressing of the Bride and Groom: Following a visit to the Mayor’s office to sign the official documents, the bride and groom go to their respective homes to get ready for the ceremony. Close friends of the wedding couple then arrive to help them each get ready. Friends of the bride help with her dress and the final touches to her already styled hair and makeup and the groom’s friends mock shave his face and douse him with cologne. The whole process is said to symbolize their preparation for and transition to adulthood. 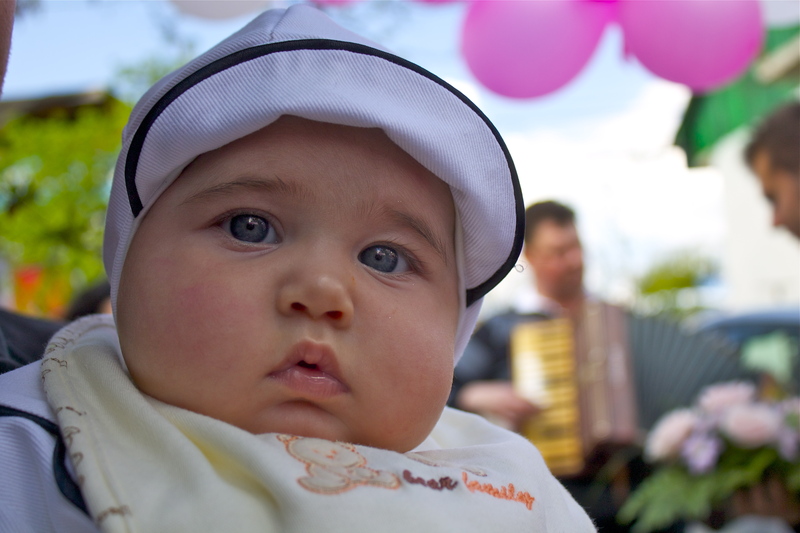 In the background at both houses is the live music of an accordion musician playing, among other things, “ia-ți mireasă ziua buna”. Searching for the Bride: Once the bride and groom are dressed and ready to go, the bride is “hidden” somewhere in her parent’s house. When the groom arrives he must search the house for her, leaving no stone unturned. This tradition symbolizes the bride’s parent’s reluctance to give her up and perhaps has roots in the historical dowry process. Breaking of the Bread: The godparents of the wedding couple bring a round loaf of a sweet, brioche style bread and tear it apart over top of the seated bride’s head. The bread is then passed around and anyone who eats from it is said to have good luck. Ceremony: After a short pre-ceremony reception at the bride’s parent’s house, everyone heads for the church. The ceremony deserves an entire blog post itself, but suffice it to say that the ceremony is a long and detailed Eastern Orthodox religious ritual, complete with singing, candles, incense, and elaborately dressed priests. Kidnapping: Following the ceremony, the newlyweds and their guests head to the reception restaurant or hall. The night is full of live music, dancing, food and plenty of beverages. At some point in the evening friends of the wedding couple kidnap the bride, taking her off to a bar or club and demanding a “ransom” from the groom for her safe return. During the negotiation process the groom is presented with one of the bride’s shoes as proof that the kidnappers have her. Once the ransom, usually of alcohol, is paid, the bride is returned to the reception party and the groom places the shoe back on her foot. Ciorba de Potroace: The next day, following the wedding ceremony, a smaller number of close friends are asked to join the newlyweds at one of the parents’ houses for a full meal of Ciorba, Sarmale, Friptura and more drinking. The idea here is to rejuvenate everyone after the previous night’s festivities. 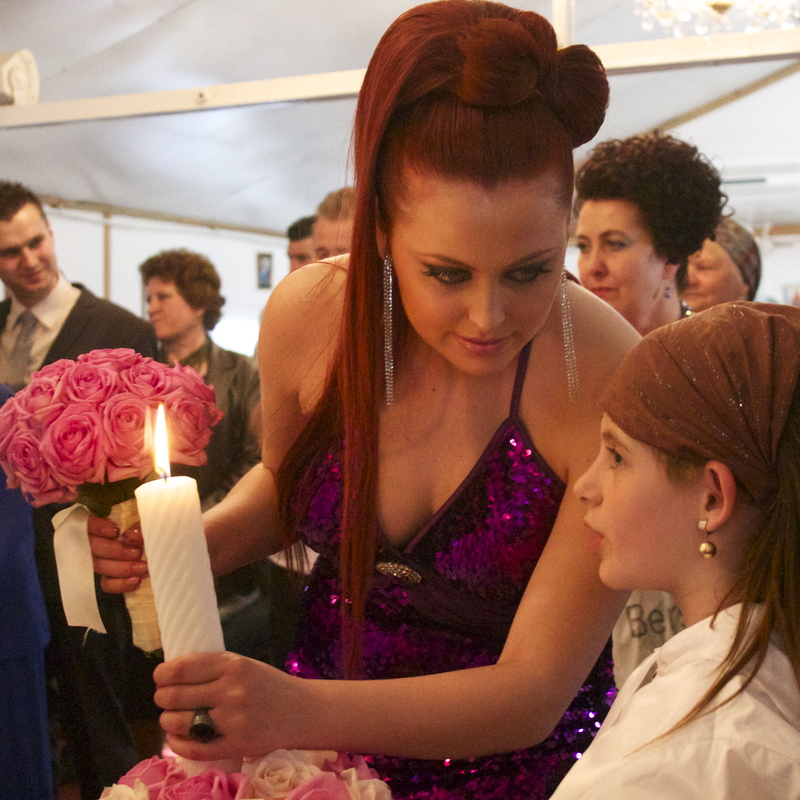 This is also an opportunity for friends and guests to talk about their impressions of the wedding from the day before. I was unexpectedly whisked off to this event while grocery shopping in town; my plan for a quiet evening alone quickly evaporated when a large glass of whiskey was thrust into my hand. 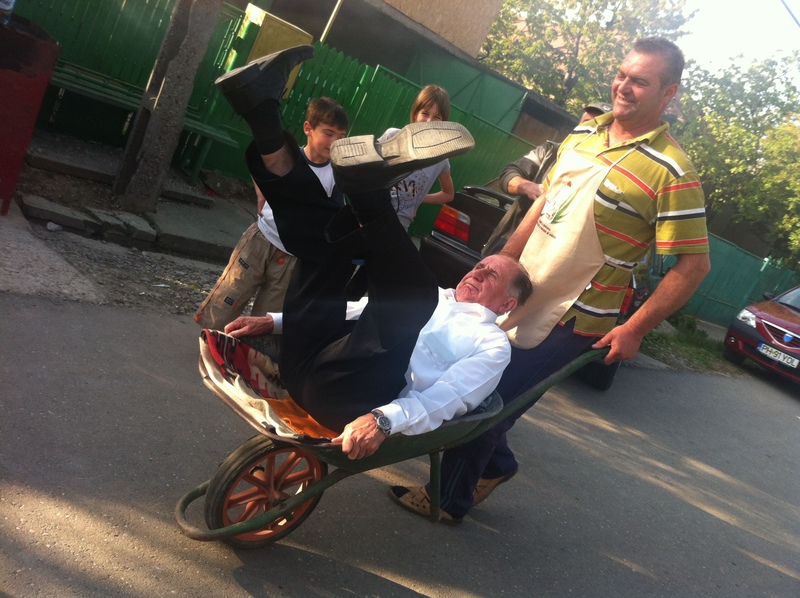 Wheelbarrow Ride: In the afternoon, following the ciorba de potroace, the in-laws of the bride and groom are individually whisked away, up and down the street in an old wheelbarrow. The reasoning for all of this is a little unclear to me, but my guess is that it somehow serves as a reminder to the parents that their children are now grownup and no longer need to be constantly watched over. 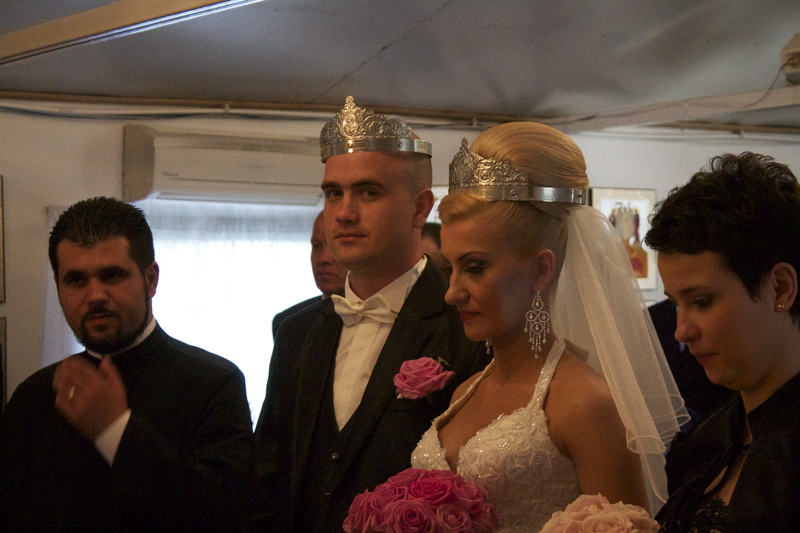 The above list really only scratches the surface of Romanian traditions as they pertain to weddings, but these are the ones I witnessed that seemed the most interesting and different from what I have seen in the United States. 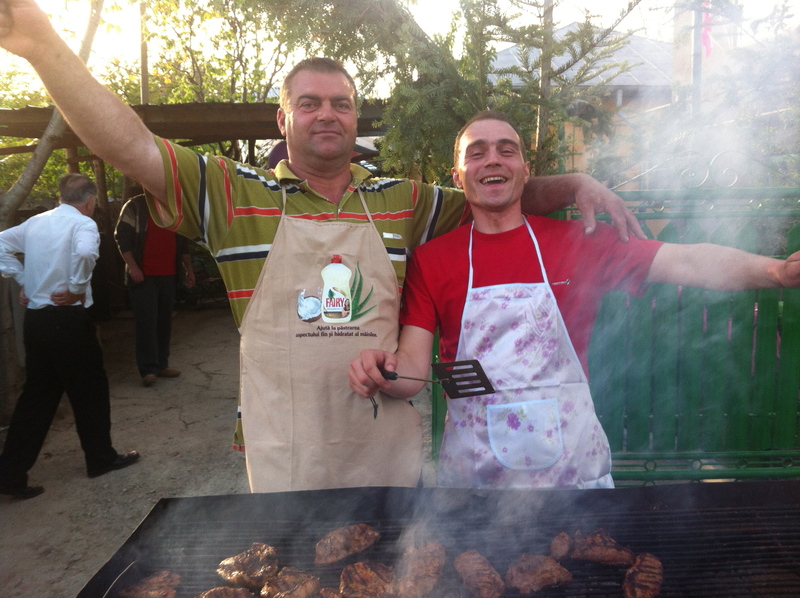 The traditions vary from region to region and family to family, but this is what I have learned from my experience, internet research and through discussions with my Romanian tutor. If you have additional insight that you’d like to share please use the comments section below so that we may all be further enlightened. Note: If you are viewing the email version of this post please click on the blog title to view the photographs.